I love it when I find a top that so easily transforms from day to night. This Peplum top from the Lookbook store easily makes that transition and can be worn with a variety of different things. I can mix it up when it comes to the bottoms, shoes, jewelry and even add a blazer for those cool nights. Here are two different looks featuring the top. One for day and one for a night out. 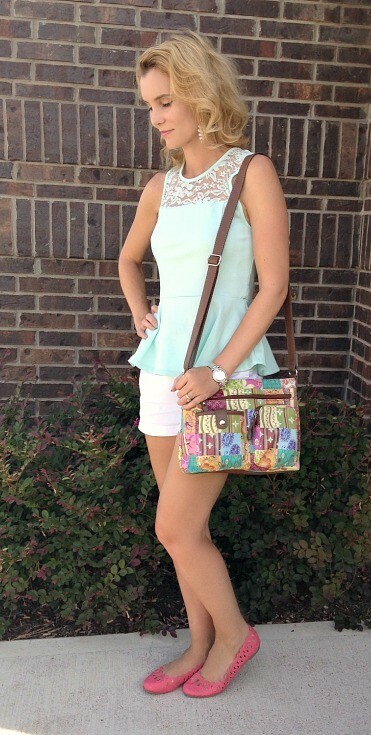 For my day time look, I chose to pair the top with white shorts, pink laser cut ballet flats, a colorful handbag and minimal jewelry. I could see myself running errands in this outfit because the top is extremely comfortable. It’s made with a cotton polyester blend, so it has some stretch to it. There are no buttons or zippers to mess with either. You just slip it on and go. This top would also look great with a pair of black shorts and sandals. For the night out on the town look, I added statement jewelry and paired it with jeans and black wedges. Instead of a handbag, I went with a hot pink clutch, which is perfect for carrying just the essentials. I love how the jewelry really stands out against the shirt. So there you have it – one top, two looks. 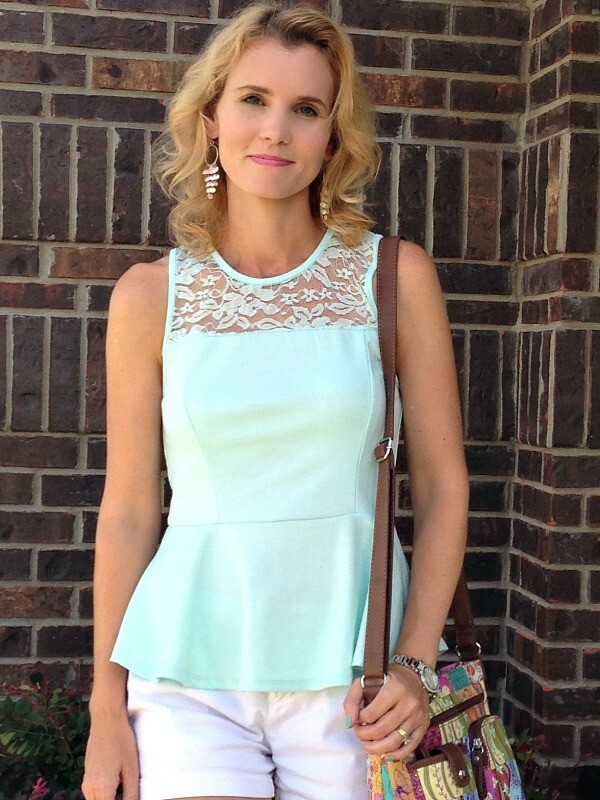 Do you have a peplum top? If so, how do you like to style it? Find out more details about this shirt, as well as see what else the Lookbook Store has to offer here.